About Summit Electric Construction, Inc. Summit Electric Construction, Inc. is an open-shop electrical contractor headquartered in Warminster, Pennsylvania. We have served the Delaware Valley since 1975, providing high quality installations and striving to deliver the highest level of customer satisfaction. We take pride in our commitment to quality, in both our products and our services. We are licensed in Pennsylvania, New Jersey, and Delaware. Summit Electric is a Better Business Bureau Accredited Business, with an A+ rating! As an accredited business, we honor the principles and standards of the Better Business Bureau. 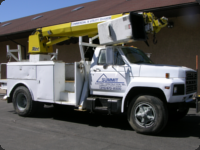 Summit employs 60 to 100 electricians, in addition to an experienced and dedicated support staff. 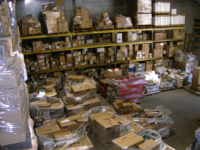 Our home facility includes a 13,000 square foot office-warehouse, allowing us to have all necessary material in-hand when the job is ready. 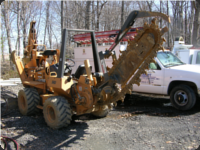 Our fleet includes over 45 vehicles, including vans, bucket trucks, utility trucks, backhoes, trenchers, and bobcats. 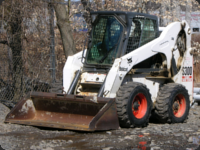 With our wide range of vehicles, equipment, supplies and employees, we are equipped to get the job done. Summit's area of service include Pennsylvania (Bucks, Chester, Delaware, Lehigh, Montgomery, and Philadelphia Counties), New Jersey (Burlington, Hunterdon, Mercer, and Somerset Counties), and Delaware (New Castle and Kent Counties). Typically, Summit will service areas within 90 miles of our Warminster office.